My 80s kick is in full swing, as many of you loyal blog readers know, and I’ve been rewatching some of the films I saw as a kid and checking out some I’d never seen. John Hughes has thoroughly captured my imagination. I’ve recently watched the so-called “brat pack” trilogy and I’ve found them mesmerizing for both good and bad reasons. But the thing that really sticks out to me is this: John Hughes is a character genius. It’s been said of Hughes that he his finger on the pulse teenage life and psyche, their fears and tribulations. I agree. That’s probably illustrated no better anywhere than the film The Breakfast Club. We have a group of five teens serving Saturday detention, and they represent the categories that I think anyone growing up in the eighties/early nineties will recognize: The jock, the nerd, the prom queen, the goth/alternative artsy girl and the dirt (referred to as the criminal). I knew each of these arch-types in high school; and I also had my “Breakfast Club moment.” I think many teens had that moment when they for some reason interacted with a member of another clique and realized we had more in common than we thought. When I was a junior, I remember walking to school on a cold and snowy Wisconsin winter day. I guess I always had an independent streak, and liked getting home on my own power rather than relying on the bus. But today was a particularly cold one, and I was freezing. I remember pausing. Nothing like this had happened. It wasn’t one of my friends. I’d never talked to this girl in my life. Not that I would have minded it. She was beautiful. I hadn’t yet reached an age where I regularly caught the attention of beautiful women, so this was a shock. My instinct (which is almost always wrong when it comes to women, BTW) was to decline and keep walking. I kind of prided myself on braving the elements. I was cold but school wasn’t that far away. Wisely, I accepted. I wish I could remember what we talked about; all I remember was how easy conversation came. Me, this goofy alternative rock/sci-fi geek kid (yeah, the grunge era was a thing) and this prom queen type, good grades, beautiful, probably invited to a lot of parties. Who knew? We talked all the way to our first classes. And while I don’t think I ever talked to her again, other than a few quick hellos, it turned out to be my Breakfast Club moment. I never looked at other kids and instantly categorized them, walling them into acceptable and not acceptable. I realized that people from all these different cliques also could have a lot in common. My senior year I became the kid that transcended cliques — I got along with just about everybody. I think that was why The Breakfast Club hit a particular chord with me. And I wonder if it strikes the same chord with today’s teens. I’ve been told a lot of what I experienced back then, the idea of cliques, are something of an anachronism. Today the prom queen can also like Star Wars, or stand in line for Harry Potter. She wouldn’t have been caught dead doing so in my time. Jocks can also consume anime. Back then, they would have slammed anime geeks into lockers. So maybe it’s a good thing that a movie like the Breakfast Club isn’t needed today. If those statements about the disappearance of cliques are true (and my experience with younger people seems to largely confirm this), then they’re likely suffering a lot less than we did. If people are free to like what they like, then more power to them. For those of us who still remember that reality, The Breakfast Club added depth to those characters and reminded us of how tenuous those division were. They demonstrate the genius of John Hughes to not only create those stereotypes, but then to shatter them. Agree? Disagree? What’s your favorite John Hughes movie? Let’s start the conversation below! 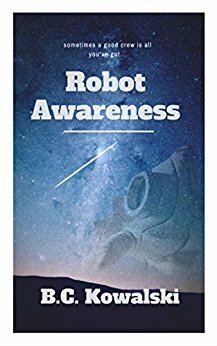 Previous Robot Awareness: Part III is here!